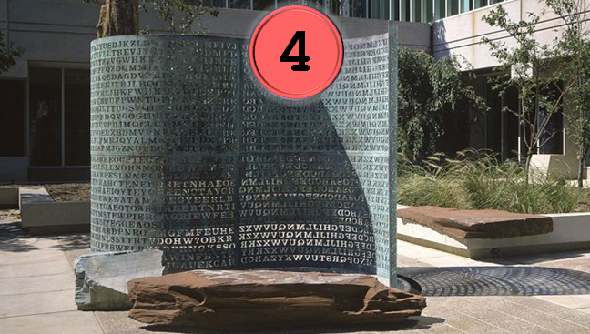 The encrypted inscription on the Kryptos sculpture located in front of the CIA building in Langley, Virginia, is the world’s most famous crypto puzzle. 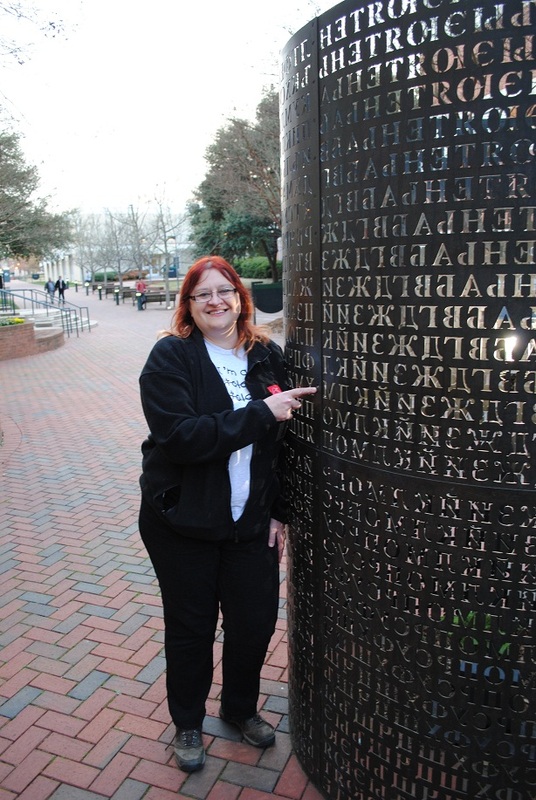 In March, a Kryptos gathering organized by Elonka Dunin will take place. How does the sculpture of a local Virginia artist become one of the most popular works of modern art in the world? Quite simply: the artist affixes an encrypted message to it, which then inspires puzzle fans all over the world. This was the case with the sculpture Kryptos. This work of art made of stone and copper was created by US artist Jim Sanborn in 1989 on behalf of the US intelligence organisation CIA. 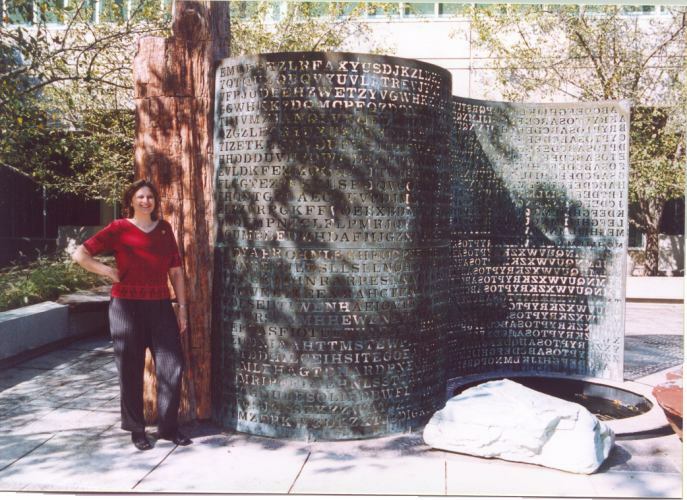 Kryptos is located in front of the CIA headquarters in Langley, a suburb of Washington. The sculpture is not accessible to the public. The encrypted message on Kryptos consists of 869 letters. It comprises four parts not visibly separated from each other. It is now known that the first two parts are encrypted with a variant of the Vigenère cipher, while the third was created with a transposition cipher. The first two plaintexts were probably created by Sanborn himself, while the third represents an excerpt from the diary of archaeologist Howard Carter. The first three Kryptos parts were solved by NSA cryptologists in 1992, by CIA employee David Stein in 1998 and by Jim Gillogly (a reader of this blog) in 1999. As neither the NSA nor the CIA published their results immediately, the NSA team, Stein, and Gillogly didn’t know of each other. Over the years, the Kryptos inscription has become one of the most famous encrypted messages in the world and the world’s most renowned crypto puzzle. And thanks to the inscription, the Kryptos sculpture has become one of the most popular works of modern art – even if this popularity is mainly due to puzzle lovers and not to art lovers. The fourth Kryptos part is included in almost every list of famous unsolved cryptograms I am aware of. There are chapters about it in my book Nicht zu knacken and in Craig Bauer’s Unsolved!. 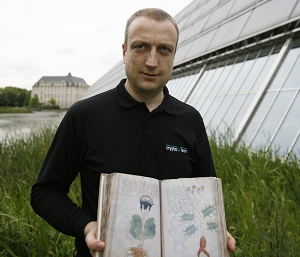 In addition, I wrote an article about Kryptos for the online edition of the German magazine Focus. Jim Sanborn has always resisted the temptation to make a few quick dollars by creating additional encrypted artworks. One of the few exceptions is the Sanborn sculpture “Cyrillic Projector”, whose encrypted inscription has long been solved. Contrary to Kryptos, the Cyrillic Projector is located in a public area. For years, Sanborn remained silent about the encrypted message on Kryptos. It wasn’t until 2010 that he finally gave a hint: the letter combination NYPVTT in the fourth part of the message stands for BERLIN. Five years later he revealed: BERLIN is followed by CLOCK. But even with the knowledge of the letter combination BERLINCLOCK standing for NYPVTTMZFPK, nobody has found the solution yet. Meanwhile, there is a large group of Kryptos puzzlers, headed by US encryption expert Elonka Dunin. 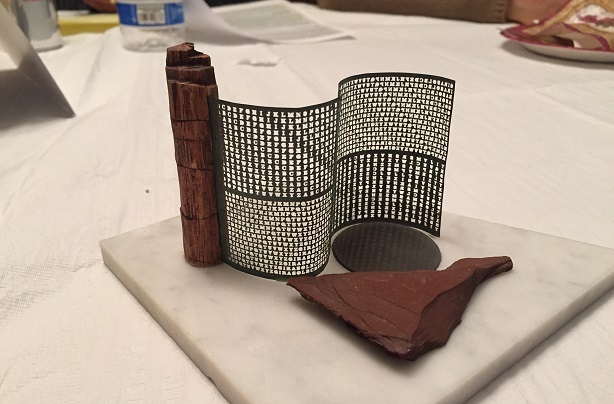 Elonka has organized several Kryptos gatherings that took place right after the NSA Crypto History Symposium in the Washington area. I had the pleasure of taking part in some of these meetings. 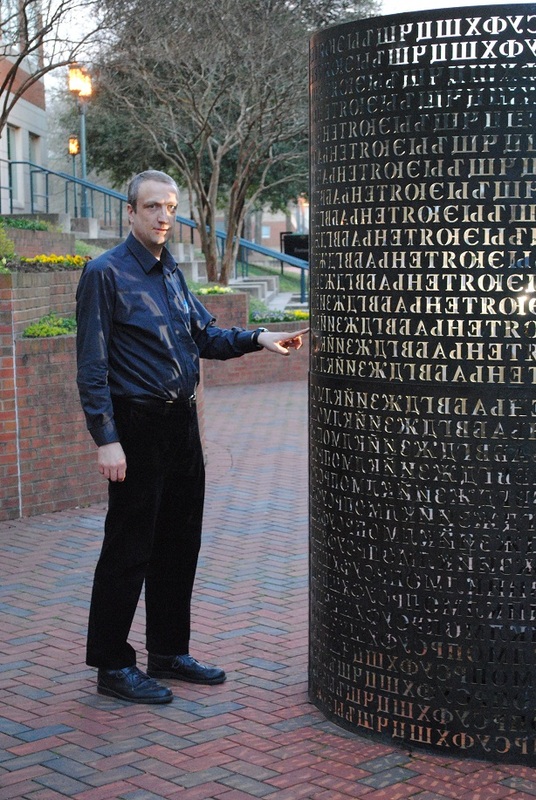 Kryptos and Elonka (“Nola Kaye”) are mentioned in the Dan Brown novel The Lost Symbol. A film version of this novel has been announced for years, but so far it is unclear when and if it will be produced. It will be interesting to see who plays Elonka in this movie. Elonka has informed me that a TV crew planning to produce a documentary about Kryptos has contacted her. As this crew would like to film a few Kryptos enthusiasts chatting with each other, Elonka is preparing a Kryptos gathering for next month. It will take place in the DC area on the first March weekend (March 1, 2, or 3). The exact date will be announced shortly. Is there anything with regards to Kryptos you would like to have checked by Elonka? If so, ask her to add it to her list. The deadline is February 28, 2019. When I clicked on https://elonka.com/kryptos/wishlist.html , I got an error page in German. However, when I copied the link directly into my browser, I accessed it with no problem. That being said, my ISP has been giving me trouble all morning. The CIA and the US Secret Service are two different agencies. “Elonka is preparing a Kryptos gathering for next month.” Whaaaaa…? That’s kind of short notice! @TWO: Thanks for letting me know. I changed “Secret Service” to “intelligence organisation”. Great overview by Klaus, on his blog. 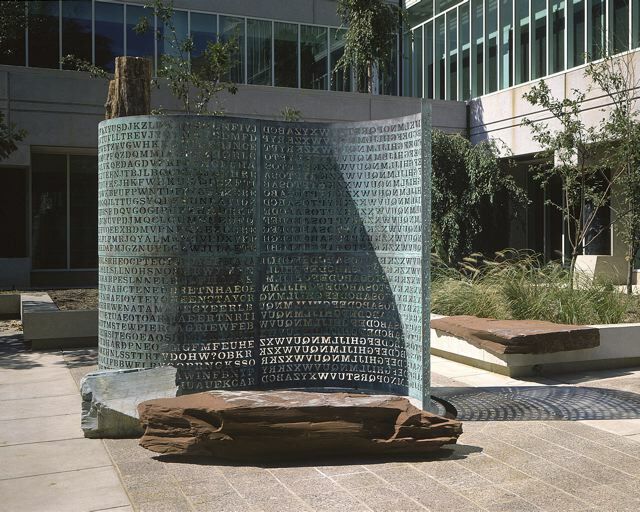 The unsolved part of the Kryptos sculpture has been attacked by the most capable cryptologists in the world, yet defies all attempts. The artist, Jim Sanborn, has even given several hints… and seems a bit surprised that it has not yet been solved. In fact, at one of the Kryptos gatherings (hosted by my friend, Elonka), Sanborn stated something to the effect (paraphrased), “I thought it would take a couple of months”. A nice mystery, seemingly approachable… but so far, intractable. Ich hätte da mal eine Frage. Irgendwo hatte ich mal gelesen, dass man schonmal die Frage gestellt hat, ob in K4 eine “ähnliche” Transposition wie in K3 verwendet wird. Weiß jemand, was darauf genau geantwortet wurde, leider finde ich dazu nichts mehr. Am Besten wäre der genaue Wortlaut der Antwort, denn die Hinweise der Beiden verstecken sich oft auch zwischen den Zeilen. The cryptogram is not 869 letters long but 870 symbols long including 4 question marks. Or am I counting wrong ? Afaik, the question marks are not encrypted. Hope that the next clue to be delivered by JS will not be yet another word following berlinclock, we could well be even more humiliated. In fact, even if I had the complete clear text, I would be unable to tell how it was enciphered.